1956 brought one of the most sought after classic trucks around. The 1956 Ford F100 is widely thought of as one of the best looking trucks to build. 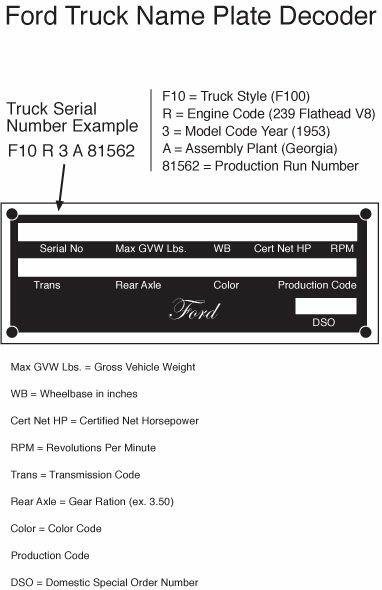 While the 56 Ford truck is similar to the 53-55, many changes were made over the previous slant cab trucks. A new front wrap-around windshield was added which forced a change in door styling. Almost all of the door parts that fit 53-55 trucks, do not fit the 56. An optional wrap-around style rear window was available. 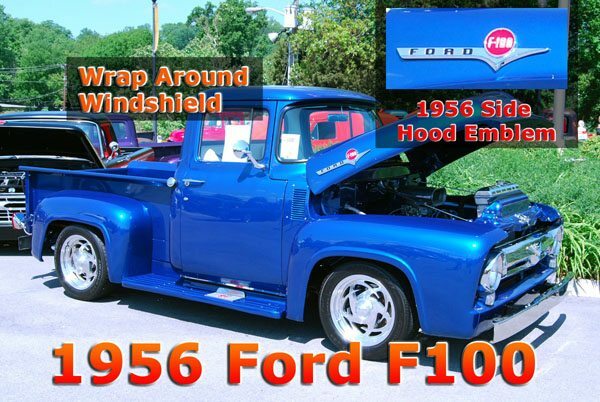 Today, these big back window 56 Ford trucks are highly prized and sought after. Up front, a new grille was used, more like the 1953 version, except deeper, using frenched style headlights and bezels. Because the headlights sit back in the grille, 56 air deflectors were made with an indentation allowing the headlight bucket to sit back further. The Chrome V8 grille emblem was unique to 56 as well as the hood side emblems. When ordered, custom cab emblems were mounted on the doors near the bottom of the side window. 1956 brought about a 12 volt electrical system along with electric windshield wipers. This was a big step in the right direction compared to the vacuum type that barely cleaned a windshield. Engines available for the 56 F100 were a 223 straight 6 cylinder and a 272 V8, though there were 3 versions of the 272 available in 56. There was a 2V carburetor light duty 272 engine and a 2V carburetor heavy duty 272. The third variation of the 272 was a 4V carburetor heavy duty engine.